TBILISI, November 29. /TASS/. Salome Zurabishvili has won the runoff presidential election in Georgia with 59.52% of votes, while Grigol Vashadze secured 40.48% of votes, the Georgian Central Election Commission (CEC) reported on Thursday. According to the CEC, after counting votes from all 3,705 voting stations, 1,147,627 voters (59.52% of votes) supported Zurabishvili, while 780,633 (40.48% of votes) backed Vashadze. The runoff election was held in Georgia on Wednesday. 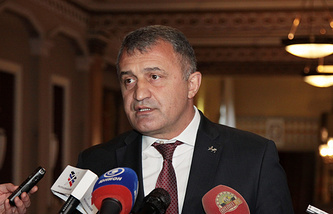 It involved independent presidential candidate Salome Zurabishvili, who was supported by the ruling Georgian Dream Party, presidential candidate from the opposition party United National Movement (ENM, a party of former President Mikheil Saakashvili’s supporters) and 10 Vashadze’s parties which are allied with the ENM. According to the Central Election Commission, the final turnout at the election was 56.23%. Zurabishvili told journalists earlier on Thursday that it will be "the highest responsibility" for her to occupy the position of Georgian president, noting that she "expected her victory at the election and believed in the voters’ support." "I promise that I will be the president of all Georgian citizens irrespective of whom they voted for at the election. My most important task as president will be the consolidation of society and the establishment of peace and stability in the country," said Zurabishvili. Salome Zurabishvili, aged 66, was born in Paris in 1952 into a family of Georgian political refugees who left Georgia in 1921. She graduated from the Paris Institute of Political Studies and studied at Columbia University, US, with a focus on Russian studies. Since 1974, she has worked in France’s Ministry of Europe and Foreign Affairs, and since late 2003 she has served as French Ambassador to Georgia. In March 2004, President Saakashvili appointed her Georgian Minister of Foreign Affairs, but in October 2005 she was released from this position after Saakashvili had criticized her publicly. After that she was an opposition member and took part in rallies demanding Saakashvili’s resignation. In 2016, she was elected a member of Georgian parliament. 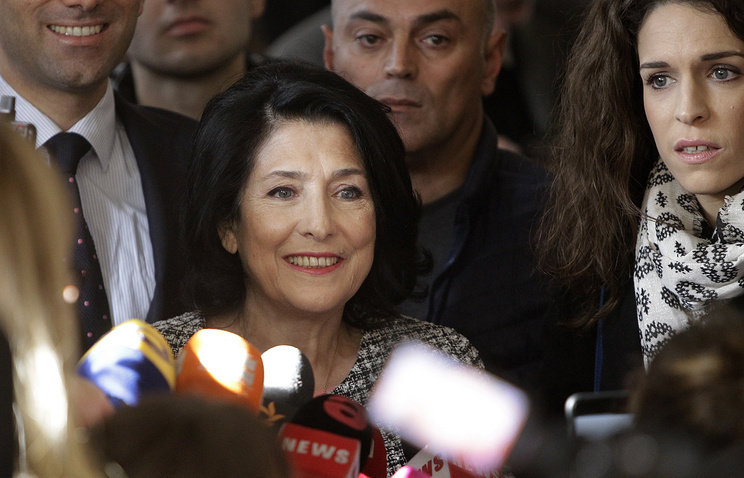 This past August she stated that she would run for the presidential election as an independent candidate, and in early September Georgian Dream Party declared that it would not nominate its candidate and would support Salome Zurabishvili.